ApexNetwork Physical Therapy is expanding! We will be opening in Mascoutah, IL in May 2016. The clinic will be located at 610 S. Jefferson Street. ApexNetwork looks forward to becoming a part of the Mascoutah community! The Mascoutah clinic will provide rehabilitation services in the following areas: physical therapy, sports rehab, hand therapy, industrial rehab and manual therapy. 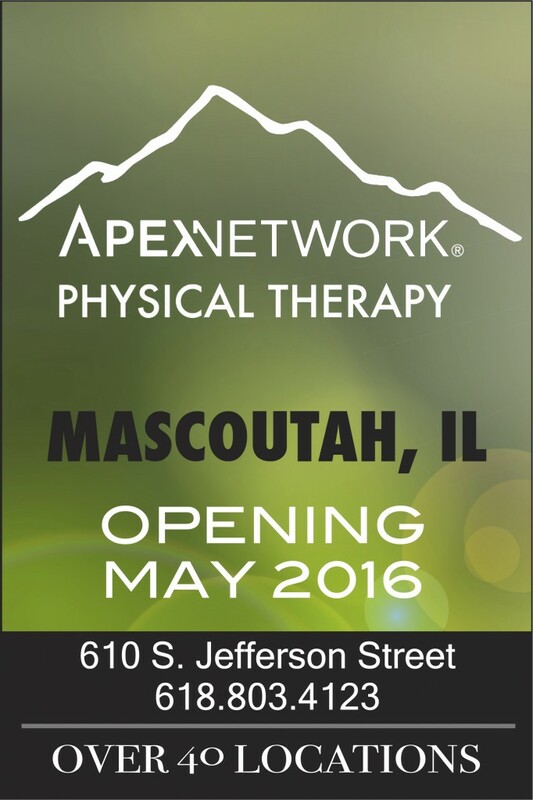 ApexNetwork Opening Soon in Mascoutah, IL!